It seems that we're gonna hear John Frusciante guitar in March. ;) John Frusciante is involved with a new band called Kimono Kult also composed by: Omar Rodriguez-Lopez - guitar, synths, strings; Teri Gender Bender - vocals, guitar; John Frusciante - guitar; Nicole Turley - drum machine, bass, synths, trumpets, backing vocals ;Dante White-Aliano - guitar, synths ;Laena Geronimo - bass, violin, trumpets. This project was recorded, mixed, produced, and mastered by Nicole Turley. 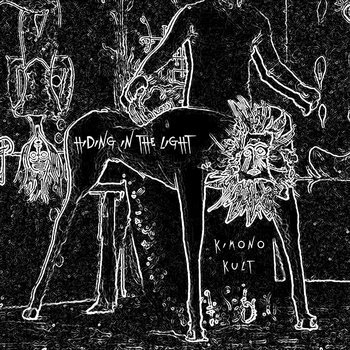 And their first EP is called Hiding in the light. This EP can be pre-ordered by U$ 5,00 or more, and you'll have it by March, 4th.